Due to the success of the last year’s Quiz A, the Working Committee is again including this activity as one of the events of the 16th National Autism Consciousness Week. 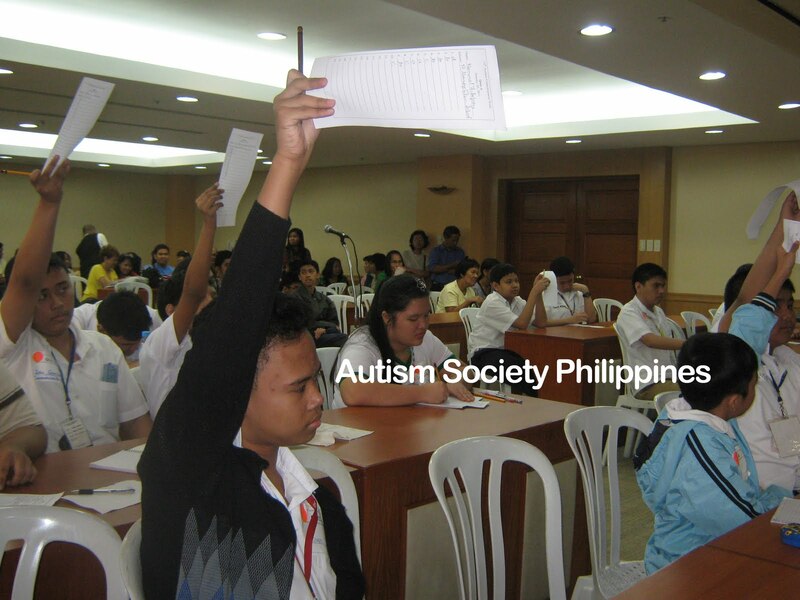 Quiz A is Autism Society Philippines’ (ASP) version of Quiz Bee to promote and to hone the cognitive ability of children’s with autism as well us to develop their social skills and their capacity to accept defeat. Just like the usual Quiz Bee, contestants will be asked questions on general information, science, math, etc that need to be answered. The only difference is that, the contestants here are all children with autism coming from both private and public elementary in special education (SPED) and regular schools. The contest will be in two (2) categories: (1)Elementary mainstream/inclusive (grades 4, 5 and 6) and (2) High School mainstream/inclusive settings. Calling all school heads and teachers, grab this opportunity to test the intellectual and social skills of your students. Enlist them to join the Quiz “A”. Tokens and snacks will be given to all the participants, and Cash Prizes await winners. Call ASP at 929 8447 or 926 6941 and the Department of Education, Special Education Division at 631 9993 to register. Quiz “A” is proudly sponsored by the Council for the Welfare of Children, Buhay Party List, Committee on Social Services, House of Representatives, Department of Education, NORFIL Foundation and ASP National Office. Venue: Norfil Bldg., 16 Mo. Ignacia cor Roces Ave. QC.